Established in 1620 the Port of Gothenburg has been important for the transports between Sweden, and the world for 400 years. The trade between Sweden and China has since the opening of the port grown exponentially and today one container ship from China transports as much as the entire goods transports between our two countries from 1731 to 1813 when the Swedish East-Indian Company operated. Today some 800 000 containers flow in and out of the Port of Gothenburg, and the trade between Sweden and China make up for a quarter of that total container flow. This means that a vast majority of the trade between Sweden and China pass through the port of Gothenburg. 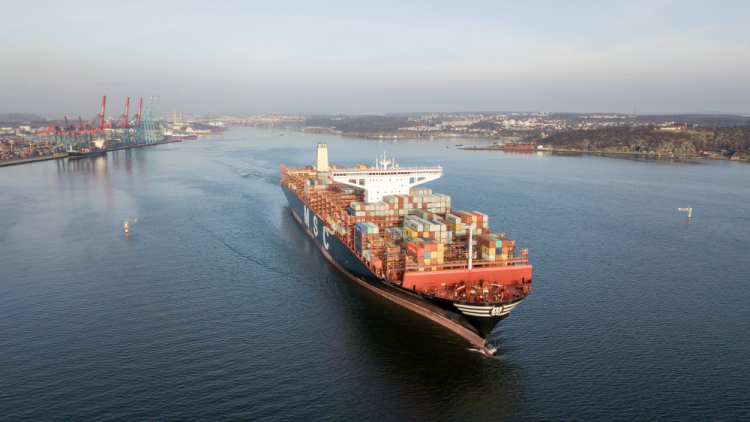 The Port of Gothenburg is Sweden’s major logistics hub for the Scandinavian countries, where a third of Swedish export and import of goods pass each year. Welcome to join us for this lunch presentation focusing on the logistics perspective in trade and transports between Sweden and China and how the Belt and Road Initiative will affect the Port of Gothenburg. Stefan Lundin, Head of Communications, Port of Gothenburg, With a broad background from Swedish industry and an experienced PR professional Stefan today leads the PR & Communications department at the Port of Gothenburg. Prior to the Port Stefan worked a number of years for Chinese Geely’s subsidiaries in Sweden and has a good understanding for Chinese matters. Jens Larsson, Senior Manager Public Affairs, Port of Gothenburg, With a background as responsible for infrastructure policy at the West Sweden Chamber of Commerce and focus on Swedish infrastructure and its link to the global logistics networks Jens is now responsible for governmental relations at the Port of Gothenburg. Jens is an expert in policy and regulations for Swedish infrastructure and also European Union networks. NB: We welcome questions in advance if you have questions related to your specific industry or region. Cost: SCTC Members SEK350, Non-members SEK500 excluding VAT to be invoiced after the event. No-shows will be fully invoiced. Please register not later than May 2.